A few housekeeping notes: Join me starting April 7 when the third novel of Carding, Vermont, The Dazzling Uncertainty of Life, debuts in this space. If you subscribe to my website, you’ll find an installment of my new book in your inbox every Tuesday and Thursday for 12 weeks. A paper edition of Dazzling will be out in May along with the ebook. Then in June, I’ll release the first Carding Omnibus, all three novels together in one book with a couple of kicker short stories. The Carding Chronicles (these short stories) will be suspended while Dazzling appears in this space because I have a new novel and a new non-fiction book on publishing that need my attention. The Carding Chronicles will resume once Dazzling comes to an end. Water, steaming water, lay between him and the door to the Coop’s ladies room. Rumors of all sorts were flying by the time the Coop reopened its doors at mid-morning. 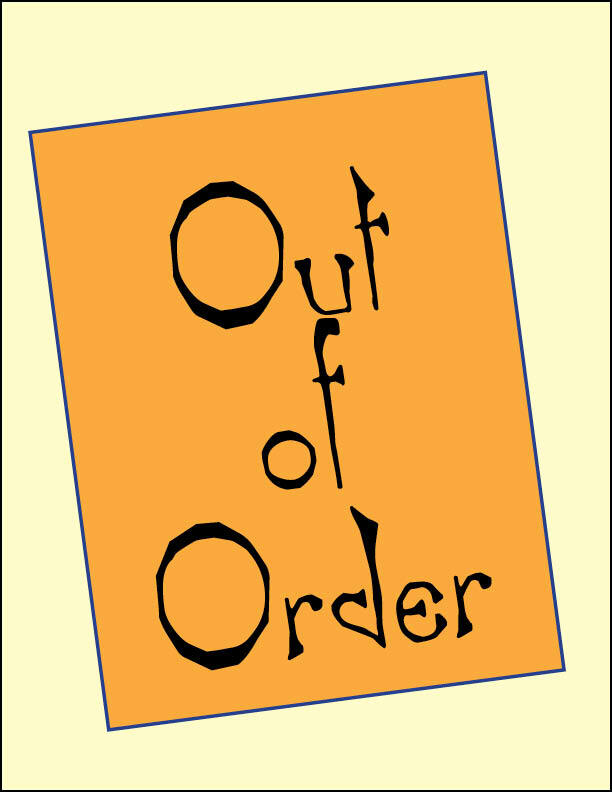 “And what does that mean?” Amos asked, pointing to the Out of Order sign on the ladies room door. “You mean we’ll be sharing space with women?” Amos looked as though his heart would stop. As much as Andy Cooper loved his hometown, he had to admit there were times when he wished for the peace that anonymity could bring. It seemed that everyone who came into the store had to hear the story about the leaking coffee maker and the steaming puddle directly from his lips. Many folks felt the need to weigh in on what color the replacement tile should be or needed to tell him the best way to install new wall board. Edie spotted her best friend’s fatigue from across the store. “Are you still up for our cribbage game tonight?” she asked, figuring Andy would say no. “Sure,” Edie said as she headed toward the new mens/ladies room. She was back out as quickly as she went in. Edie admired her friend’s vow to never ask anyone to do a job in his store that he wouldn’t do himself, and it troubled her that people using the sanitary facilities in the Coop wouldn’t take a few seconds to flush. It seemed like such a small issue but she knew from her role as the executive director of the Carding Academy of Traditional Arts that customers always remembered the condition of a bathroom (if it was not up to snuff) more than anything else. “Wil, what are you doing here?” she asked. Her grandson stood up from his squatting position by her front steps. Edie looked at the bucket by her feet. “How much do you think that weighs?” she asked with a smile. Wil hefted it. “Oh, twenty, twenty-five pounds, somewhere in there,” he said. No matter how hard he tried to convince himself, Andy really didn’t want to go to work the next day. He hoped that the wonder of all that passed in his store was over, and the winds of gossip would be calm. He kept the main lights off as he trudged from the front door to the back, and then up and down each aisle, checking and rechecking that all was well. At one point, he heard his sister talking to somebody as she opened and closed the customer entrance but he didn’t pay it much mind. His last stop was the functioning bathroom, the one place sure to give him headache upon headache throughout the day. After staring at the closed door for a few minutes, he sighed and walked away. It was clean when he went to bed. He’d check it later on. As expected, the hours clicked by rapidly as Andy shepherded plumbers, carpenters, and an expert in tile repair toward the damaged area. Then there were deliveries, a jammed cash register, spilled milk, and lightbulbs to replace in the ice cream freezer. So it wasn’t until lunchtime that he thought about the bathroom again. Arming himself with mop and pail, he walked like a condemned man toward the back of the store. “Hey, what are you doing?” Andy asked the five men waiting in line at the door. Then he heard a “whoop” and a laughing Amos emerged, wiping his hands on a paper towel. So Andy opened the door. There, next to the toilet tank, stood a bucket filled with cement. A three-foot metal rod was stuck in the center of the rocklike substance, and on the rod there hung a sign with an arrow pointing to the toilet’s handle. The Dazzling Uncertainty of Life, the next novel about Carding, Vermont, will appear in this space (twice a week on Tuesdays and Thursdays) starting April 7 through June 28. Encourage your friends to come join the fun. The more the merrier, eh?